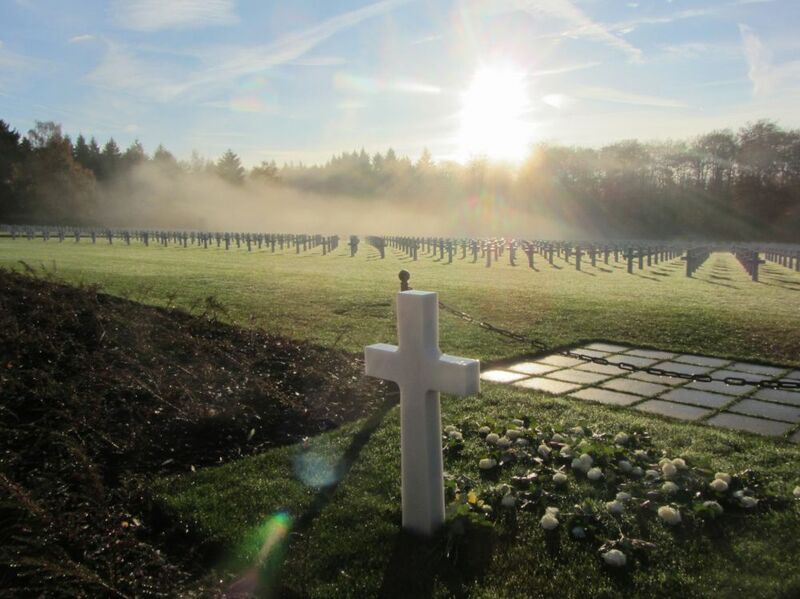 Luxembourg American Military Cemetery. Resting place of 5 076 American soldiers who fell during the Second World War. 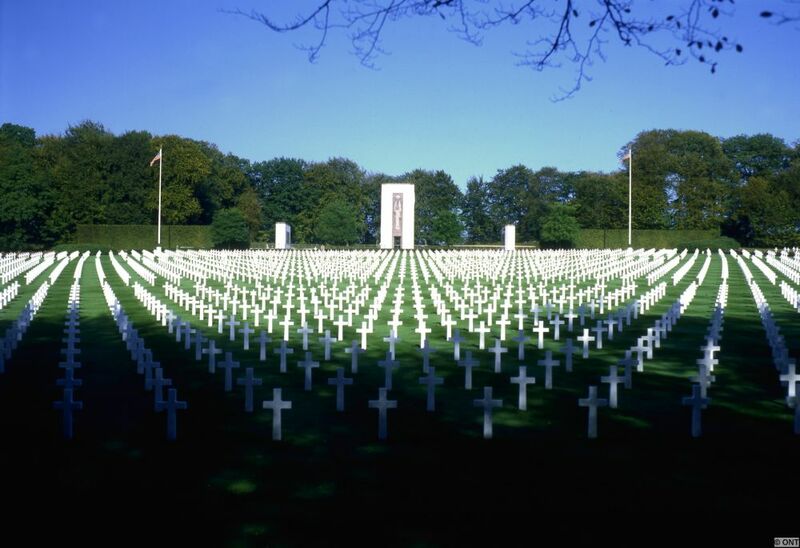 The american cemetery was established on 29 December 1944 as a temporary burial ground for soldiers killed in the fighting in the Ardennes. General Patton himself was buried here on Christmas Eve 1945, three days after he died in Heidelberg. His original grave was is an area now designated as Plot F and was moved to the top of the burial plots in 1947. Among those buried here, there are 118 soldiers of the Jewish faith, whose headstones are in the shape of a Star of David, 22 pairs of brothers and one pair of close friends buried side by side at the request of their families, and one woman, an Army nurse.